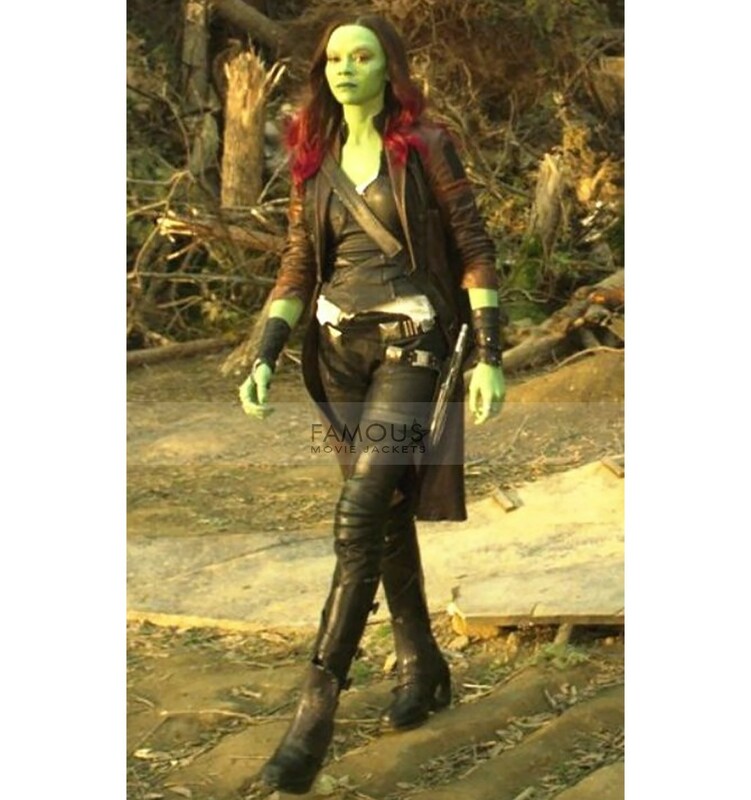 Are you ready to rock in a costume party with this classy costume coat of famous character Gamora taken from the movie Guardian of the Galaxy 2? 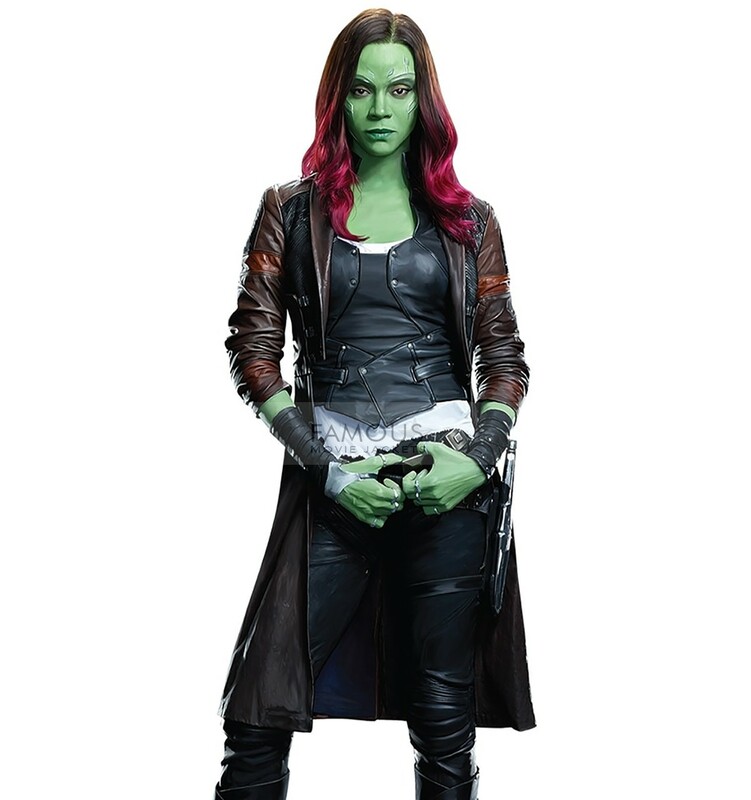 This Guardians of the Galaxy Gamora Costume coat is stylish enough which you can not only wear in the costume or Halloween party. You can have a refined look for winter styling. This long coat has crafted of 100% pure leather externally. While the inner fabric of a fine quality has used to boost your stylish looks with ease. It comes up in amazing features such as turndown collar, full sleeves with open hem cuffs and two waistline pockets externally and two internal pockets to keep your valuables. This front open jacket will add glamorous looks in your personality while paired up with leather pants. Shop this stylish jacket and enjoy your celeb looks. Material: Real Leather / Faux Leather. Just got my package and could not resist commending it. I ordered an XL and was wondering if it would be somewhat loose for me, but to my surprise, it fits perfect. Will surely order again from Famous Movie Jackets.